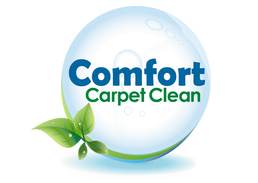 Carpet Cleaning in Loveland is available from Comfort Carpet Clean by simply calling 970-682-8119 or by contacting us through this page. If you live in the Loveland area, and need Carpet Cleaning, Upholstery Cleaning, Carpet Repair, Stain Removal, Pet Odor Removal, Water Damage Restoration, Automobile Cleaning, R/V Cleaning, Truck Cleaning, SUV Cleaning, Boat Cleaning, Dryer Vent Cleaning, or Tile and Grout Cleaning, we are the Carpet Cleaning Company for you. Loveland, Colorado is located just south of Fort Collins and west of Windsor along the I-25 corridor in Northern Colorado. Loveland is home to over 70,000 people as of 2015, and has a rich history stemming from William H. Loveland, who the city was named after back in the early 1880’s. 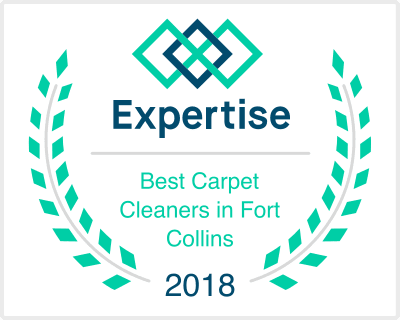 From Eisenhower Blvd to Lake Loveland and out to Boedecker Lake, Loveland is ripe with beautiful homes, beautiful people, and plenty of residences that need their carpets professionally steam cleaned. Why is Loveland one of the best places to live in the state of Colorado? 1. Lack of Crime. Crime rates in Loveland are very low, and because of the wonderful people who live in Loveland, crime looks to stay at the same low rate for a very long time. 2. Schools. Loveland Schools are always given high marks, and parents and teachers alike take time to enrich their kids’ lives through the fantastic Loveland education system. 3. Lakes. Fort Collins of course has Horsetooth Reservoir, but Loveland has Boyd Lake, Horseshoe Lake, Boedecker Lake, and many smaller offshoot lakes that serve as watery playgrounds for boaters, swimmers, and Stand up Paddle boarders. 4. Parks and Recreation. Loveland has one of the best Parks and Recreation program in the state of Colorado, hosting thousands of kids each year in youth sports programs throughout the city. 5. Loveland is growing rapidly, and the addition of the Promenade Shops at Centerra makes Loveland more than just a pass through city in Northern Colorado. 6. The People are friendly, and welcome in-state and out-of-state visitors with open arms each day. 7. Location, location. Loveland is located about 45 minutes north of the Denver Metro area, about an hour east of Estes Park, and only 15 minutes south of Fort Collins. Living in Loveland makes it easy to get anywhere in Colorado in a hurry, including ski areas, Lower Downtown Denver, and anywhere in the close by Colorado foothills. All of the above information is exactly why Loveland is a great place to be. Comfort Carpet Clean wants to help Loveland residents and businesses with all of their Carpet Cleaning needs. To schedule your appointment, simply give us a call at 970-680-8119 today!